The Houston neurosurgeon, author and frequent health care adviser to Lt. Gov. David Dewhurst on his support for the individual insurance mandate, why cutting provider rates to rescue the budget is misguided and how far Texas would trim Medicaid if given the permission. When Texas lawmakers talk about containing health care costs, it’s a good bet they’ve picked the brain of Dr. 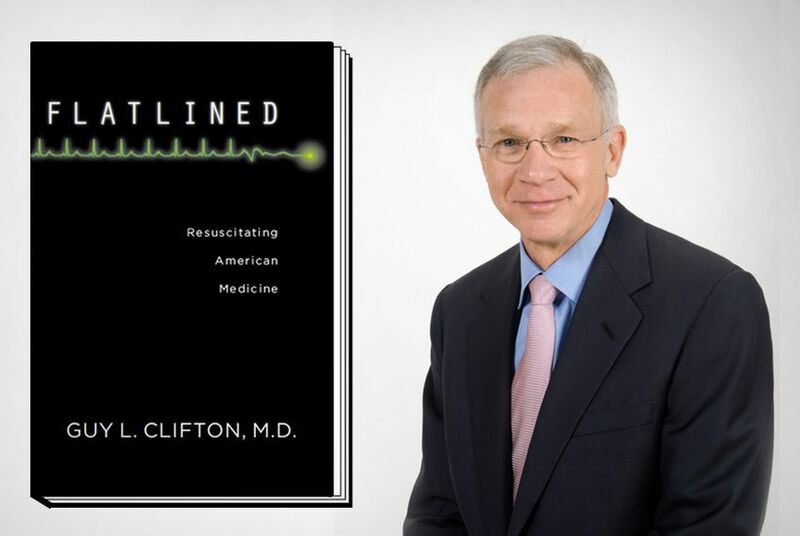 Guy Clifton, a Houston neurosurgeon turned health care policy expert. But the author of “Flatlined: Resuscitating American Medicine” — who has guided Lt. Gov. David Dewhurst on his pet payment reform legislation — says the Legislature's effort to balance the budget by slashing Medicaid rates is misguided. Nor does he share Republican lawmakers' ardent opposition to federal health care reform; in fact, he’s a big supporter of the individual insurance mandate. TT: You’re the single most-mentioned person — by Dewhurst, by lawmakers — as they file legislation to reform the health care payment system in Texas. Have you had a behind-the-scenes role in the legislation being crafted now? Clifton: In 2003, when I was the chief of neurosurgery at Memorial Hermann, at the University of Texas Medical School in Houston, I helped get a [driver responsibility] bill passed that brought $180 million into stabilizing emergency services in Texas. It was quite unstable in those years. In the process I met the lieutenant governor and the governor. About four years later, I became very involved in health policy. I wrote a book in 2009, really talking about how you reduce the cost of health care by improving quality. The lieutenant governor read the book. He and I have been talking about some of the principles in it for a couple of years. We tried to get a bill through last session. It just got lost in the card check [voter ID] issue. He started way ahead for this session. I talked with him and [Rep.] Lois Kolhorst a bit about some of the things I thought could happen statewide, but I was very much behind the scenes. That’s my relationship. I have a lot of respect particularly for the lieutenant governor, because he’s thinking very hard about this. TT: Are you familiar with Dewhurst and Republican Sen. Jane Nelson’s payment reform legislation, and if so, do you agree with those solutions — trying to incentivize outcomes, as opposed to paying for procedures? Clifton: That’s the theory — the way to decrease costs is to improve quality. And the way to improve quality is to define it and then pay for it. What that means is, if you want a good result from a coronary bypass — heart surgery — you define what mortality rate, complication rate, length of stay you want, and you find doctors and hospitals that can deliver that level of quality. You pay them well for it. You don’t pay people with high complication rates, long lengths of stay, things nobody would want, which we do now. Today, the sicker you get in the hospital, the more the hospital is paid, which is a perverse incentive. TT: Lawmakers are considering a 10-percent Medicaid provider cut, which some doctors are saying will make it virtually impossible for them to implement any measure of payment reform. What do you think? Clifton: The rate cut — it’s not going to work. It’s not going to decrease costs. We’ll get a one-time savings. If you cut provider payments 10 percent, you’re not going to find anybody who will see a Medicaid patient. That’s the opposite of anything I’ve ever recommended. My recommendation has always been, you find providers doing a good job, you define what a good job is, and you pay them more for doing a good job. In the end, you don’t have to redo it — you get things handled right the first time. To cut Medicaid rates to save money won’t save money. It will degrade quality. Those goals are contradictory. Here’s the box they’re in: I don’t agree with cutting provider rates, but I understand why they’re doing it. What has happened in health care forever, for 40 years, is that when any legislature, federal or state, has to cut health care costs, they’ve got one tool in their toolkit, and that’s slicing payment rates. If you slice payment rates from a commercial rate, what happens is, providers will still see patients, but they increase volume to keep salaries. So in the commercial market, or with Medicare, when you cut rates, you just get more volume. Medicaid’s a little different, because it’s 30 percent below Medicare. When you cut Medicaid, providers will not increase volume to make up the difference — they just won’t see the patients. The rates are so low you can’t do enough volume to make up the difference. TT: Health care reform — or more specifically “Obamacare” — is really a dirty word among Republicans in Texas. Is it for you? Clifton: Frankly, I’m conflicted. I practiced in Houston, where there’s a 30 percent uninsured rate. Uninsured people just didn’t have access to decent care. When they could get into the hospital district, they got good care. But they couldn’t get in. There’s enough money in the United States that they ought to be able to. I completely agreed with covering the uninsured. I absolutely supported the individual mandate. But when I say I’m conflicted — there were no measures in the bill that would really decrease health care costs. In fact it will increase the overall cost of health care pretty substantially. The coverage expansion was done without any serious efforts to cut health care costs. In 2050, there will be no federal government left — it will all be Medicare and Medicaid. TT: Your support for the individual mandate really sets you apart from Texas' state leaders, doesn't it? Clifton: Here, we don’t agree. If we’d passed a bill that had increased coverage without a mandate, it would’ve driven the cost of insurance to unaffordable levels. Healthy people would’ve opted out. The mandate forces healthy people to buy insurance, which covers people who are not healthy. Without that, we’ve left out a major source of funding. The lieutenant governor, the governor would have left the uninsured alone and gone straight for health care costs. I’m pretty sure they would’ve done that. For me, I got tired of seeing uninsured patients without access to care, and the outcomes they had. Frankly, that trumps everything else. TT: Your research ranges from studies on severe brain injuries to work on the uninsured. How’d you cross over to writing a book, to getting into the policy realm? Clifton: That was a wrenching transition. Until about 2003, I didn’t know anything about health policy, not the first thing. I knew a lot about neurosurgery, trauma, hypothermia. I got more and more alarmed about what I was seeing, with the uninsured, with the cost of health care, what I thought we were looking at nationally and in Texas if we didn’t make fundamental changes. I got so personally concerned that in 2007 I made a U-turn in my career, and stopped practicing neurosurgery entirely to concentrate on health care policy. I’m now a professor of surgery at Uniformed Services University in Bethesda. I’m working with the Department of Defense as an adviser on $28 billion worth of health care contracts. I’m advising them on ways to improve quality, reduce the costs of health care and purchase care. I’m on the faculty at the University of Texas [Medical School] at Houston through an agreement with the Uniformed Services. TT: What do you think about states seeking to operate Medicaid their own way, and seeking waivers from Washington? Clifton: I think you’ve got to set certain limits on access to care and coverage. Many of the states would just cut Medicaid down to where it’s nothing. Texas, no question. They would cut it down to the place where it didn’t provide a level of care that was acceptable. Seventy percent of the cost of Medicaid is federal funds. I guess my feeling is, the state ought to be given free rein to manage Medicaid, subject to certain quality and coverage standards. Within those limits, I think the states ought to have virtually free reign. I think the states are overregulated. The states can be quite innovative. They really own the problem; they know their markets. They really do not in Washington. They’re quite disconnected from the realities on the ground. I think there are some states that would do things in Medicaid I don’t think anybody would be comfortable with. The federal government needs to decide what are the limits of what we want states to do with Medicaid, and then turn them loose.